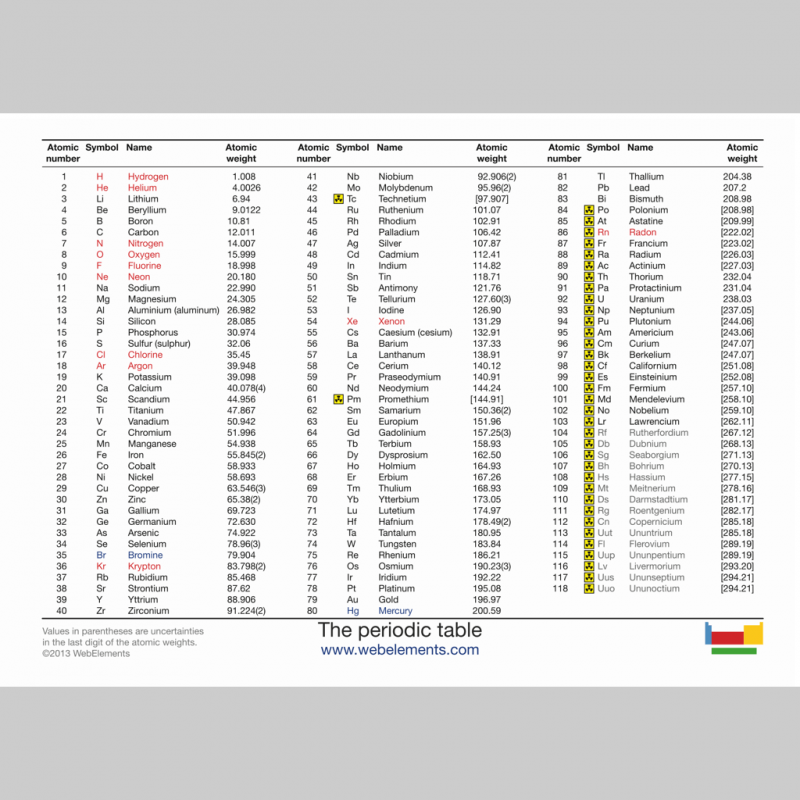 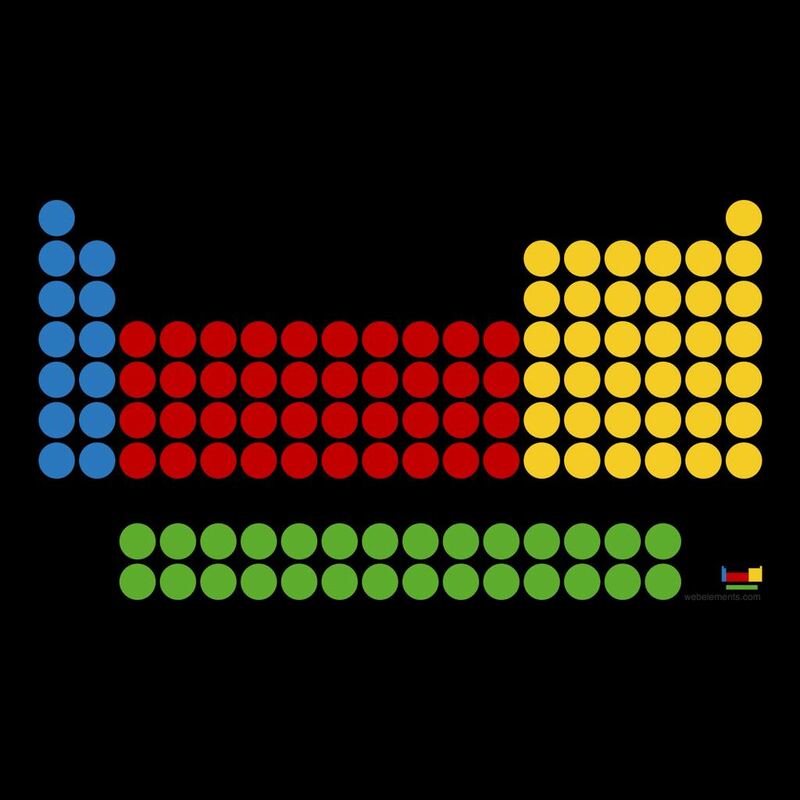 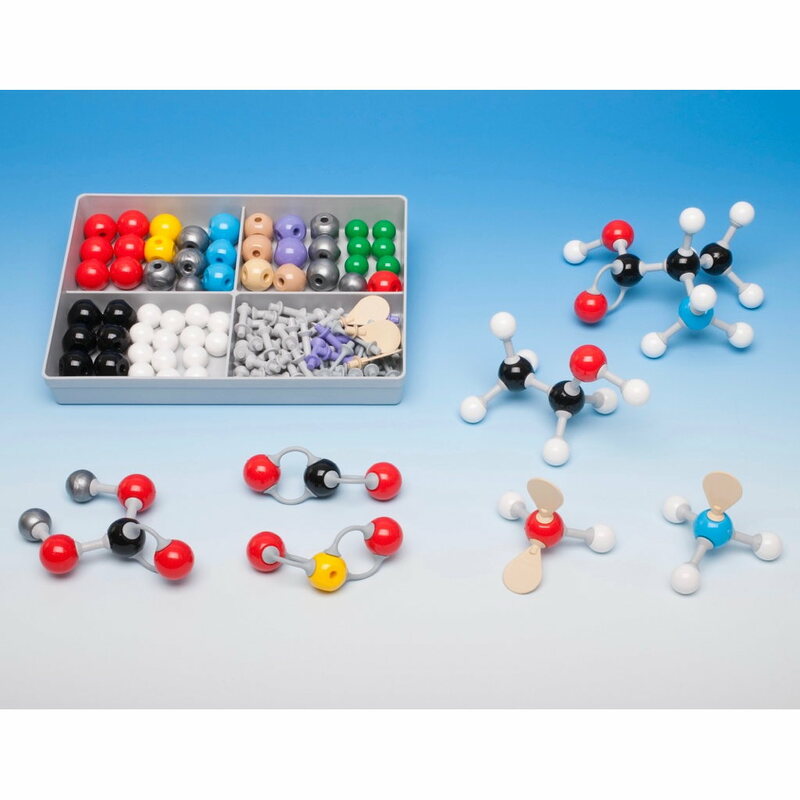 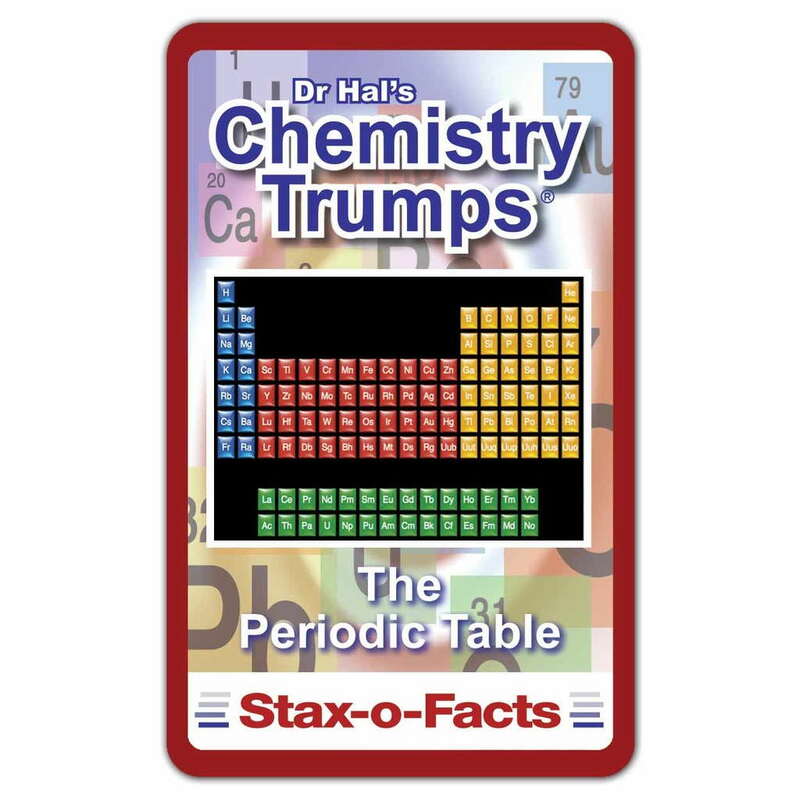 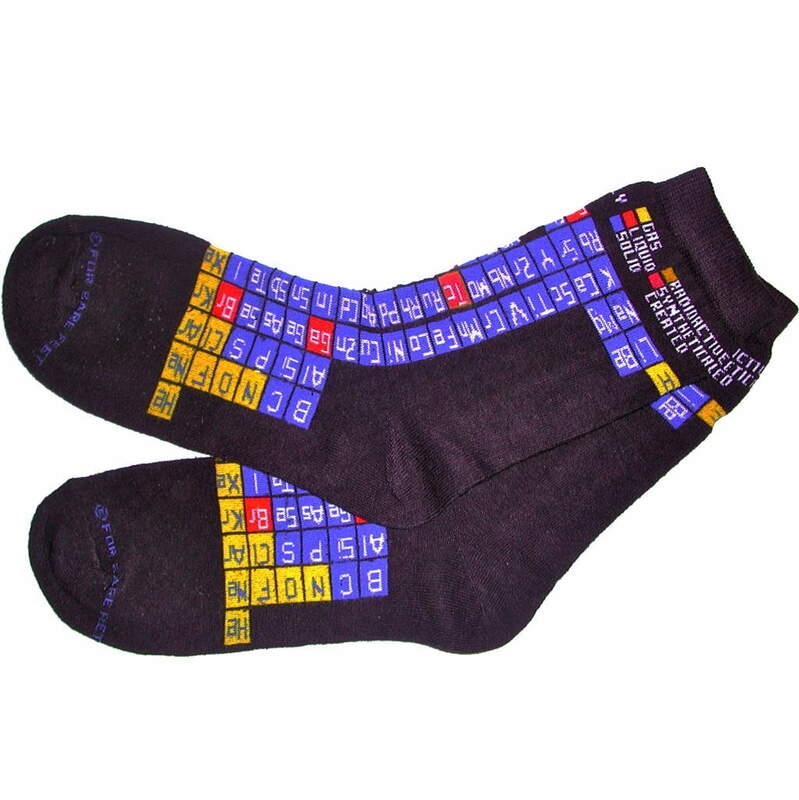 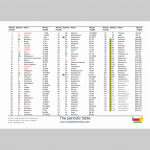 Each pack contains 40 durable glossy postcard-sized periodic tables. One side is laminated and shows the periodic table with atomic numbers, symbols, and atomic weights. 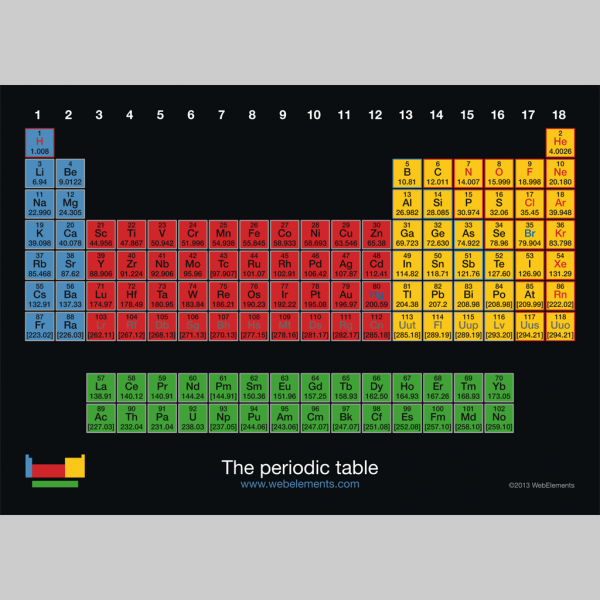 The reverse side shows a table of element names, atomic numbers, symbols, and the current 5-figure atomic weights. 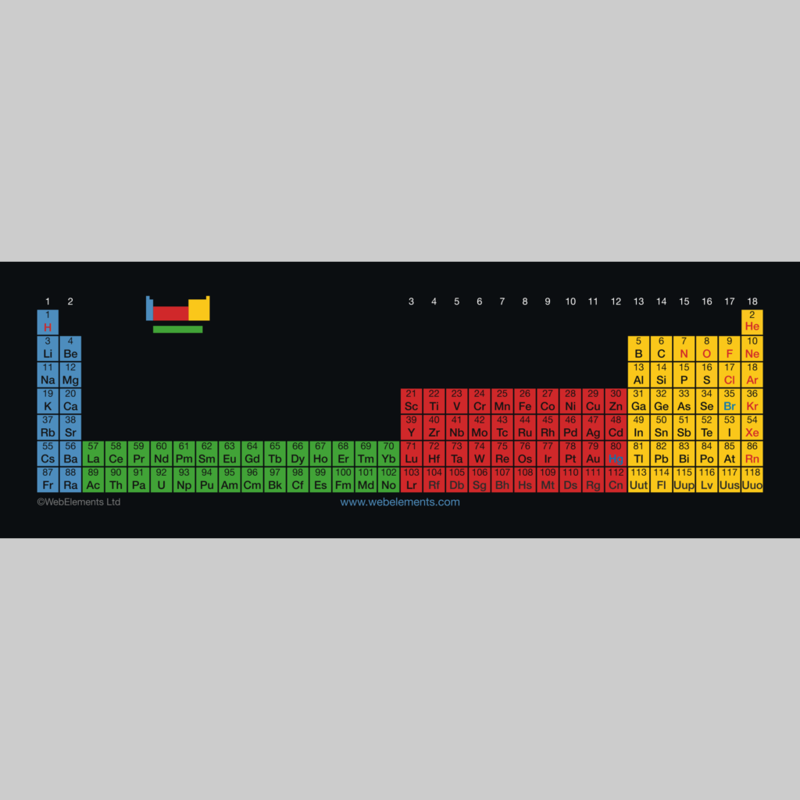 One side is laminated and shows the periodic table with atomic numbers, symbols, and atomic weights. 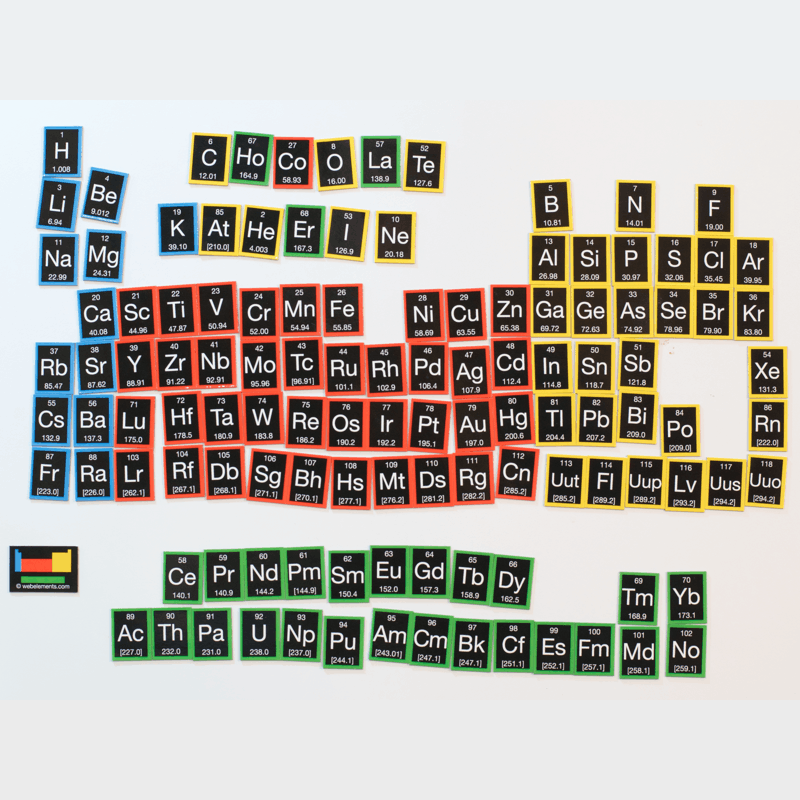 The frame for each element box is coded grey, blue, or red according to whether the element is a metal, semi-metal, or non-metal. 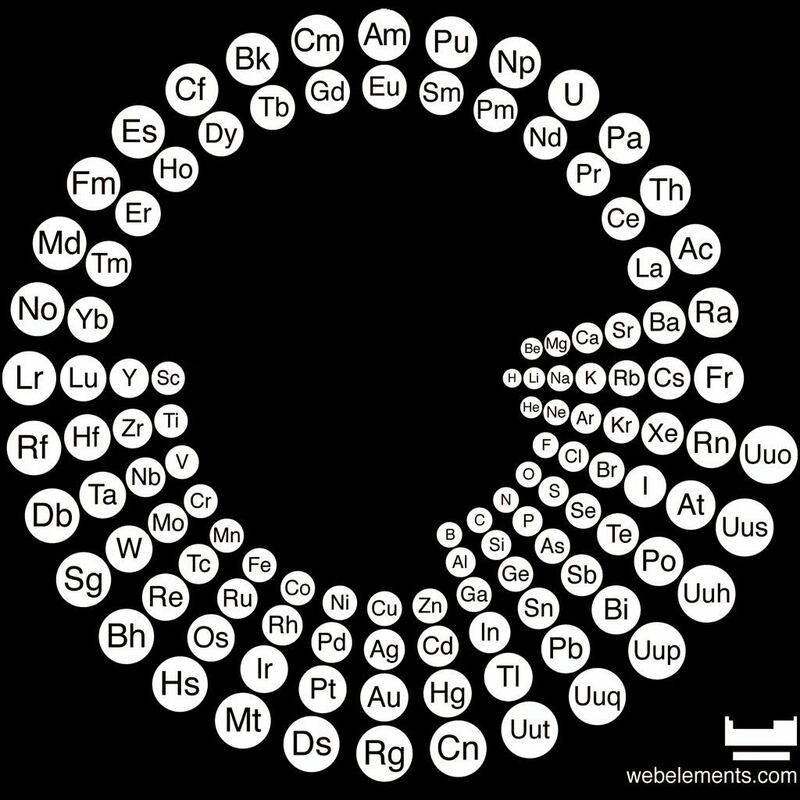 The element symbol is displayed as black, blue, or red according to whether the element is solid, liquid, or gaseous. 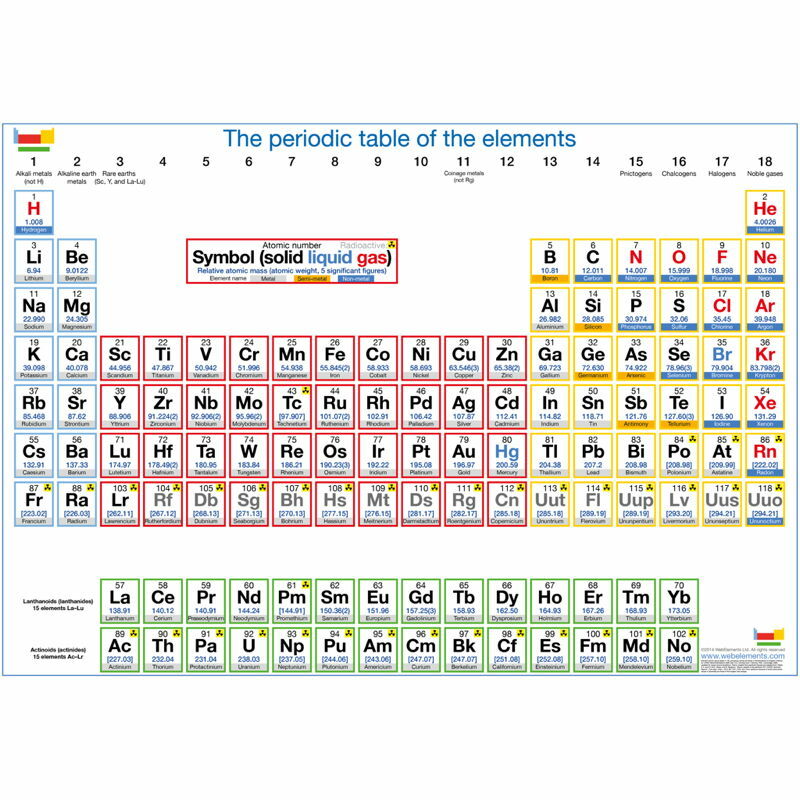 The reverse side shows a table of element names, atomic numbers, symbols, and the current 5-figure atomic weights for all the known elements. 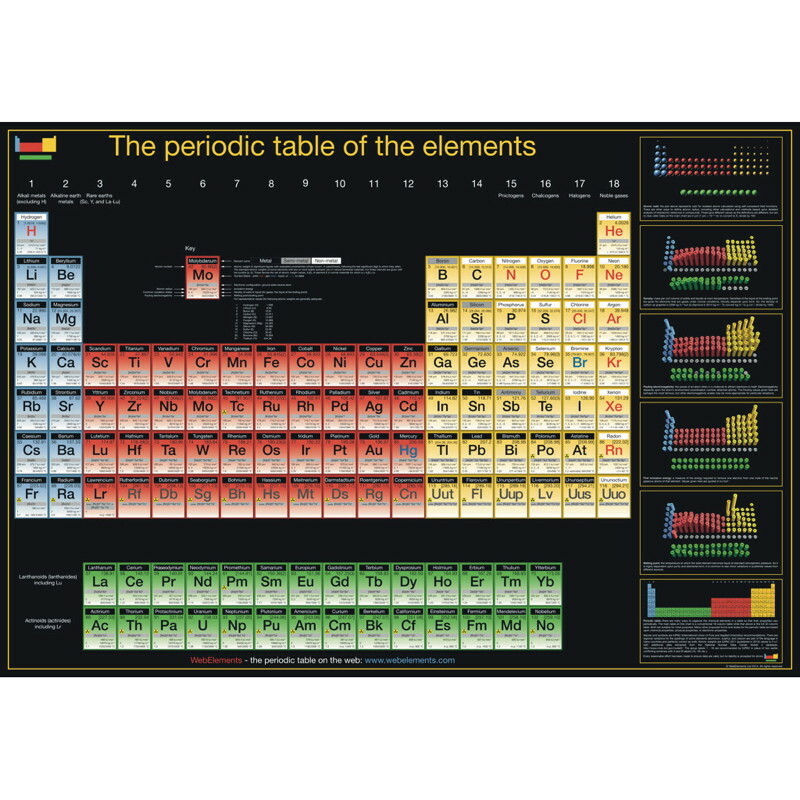 These are printed on a glossy heavyweight (250 gsm) artboard laminated on one side for durability. 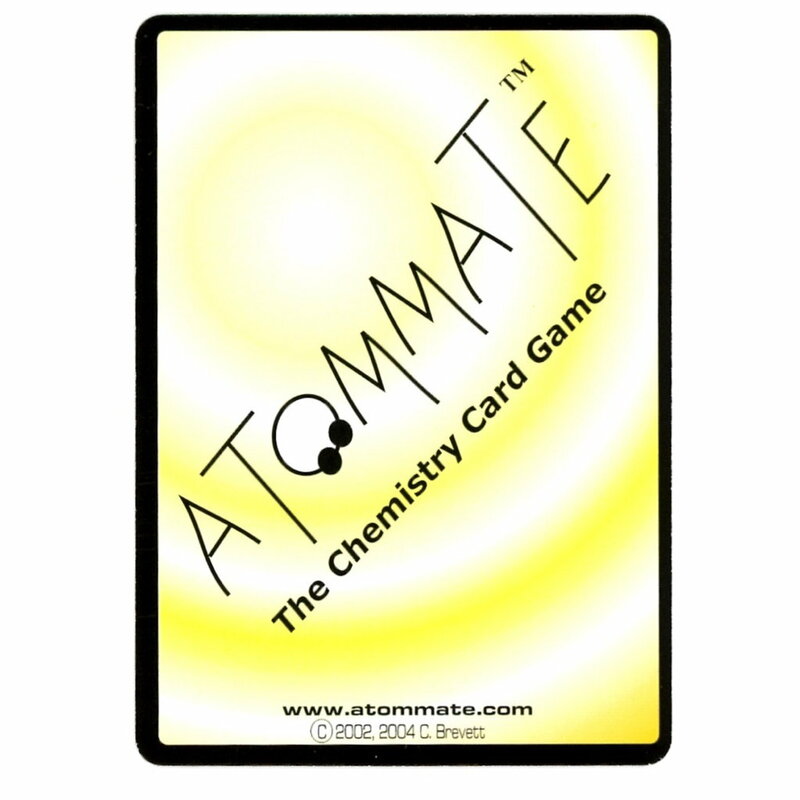 Each card is approximately 5.8 x 4.1 inches (148 x 105 mm) and your pack of 40 cards shipped by mail or air-mail. 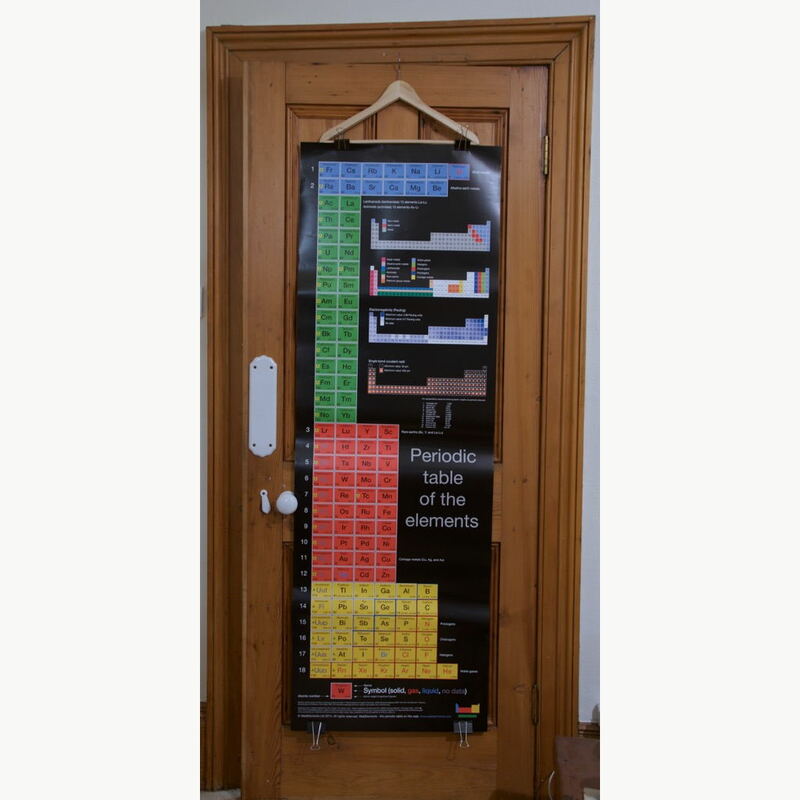 These are proving really popular and ideal for class use or simply to pass around your friends.